DIPG Warrior is The Cure Starts Now’s way to help your family and friends through: awareness, support, fundraising, and more than anything, honoring your DIPG Warrior. Raise awareness for DIPG and support your warrior. The DIPG Warrior program is free to all DIPG families whether they are currently battling or not. 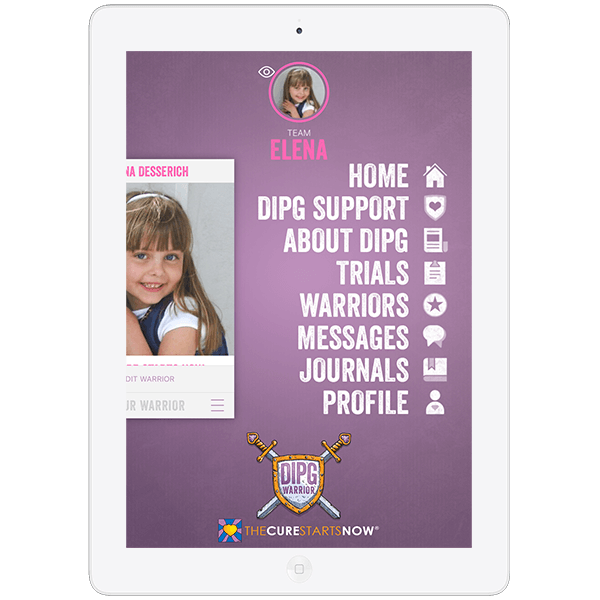 The DIPG Warrior App helps families battling DIPG connect with one another and receive the latest information on clinical trials and research. 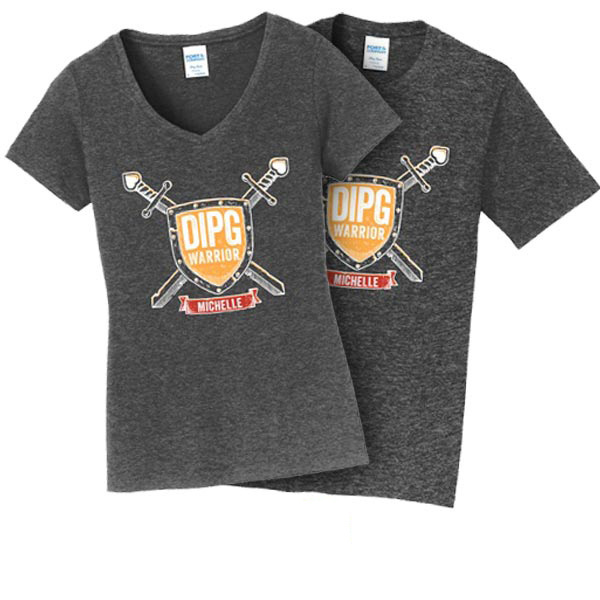 Customized DIPG Warrior shirts are available for supporters to purchase at the very low cost of $10 per shirt.